Free Quote Get Your Free Quote!!! No job is too big or too small. If you're not happy, we're not happy. Free Diagnosis & Best Price Guarantee! If you're not happy, we're not happy... period. You will never get stuck paying for a repair you didn't agree to. We already did the research and our prices are the best in the 'Burgh! We see and hear many cases where customers have been overcharged to have something fixed and the job was done poorly or incorrectly. 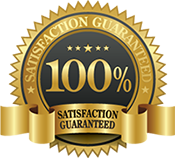 That is why we back our computer repair services with a satisfaction guarantee. If you do not feel the work was done properly or the problem still persists, just bring it back and we will make it right at no extra charge to you. We know how frustrating it can be when you have an issue and there is a language barrier between you and the person that is supposed to help you. That's why we will never outsource to a Call Center or Answering Service. 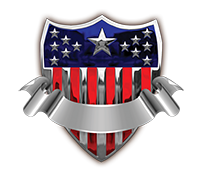 When you call to talk to us - you get a real live American. The most affordable computer repair service in Pittsburgh. Trusted by over 25,000 satisfied customers. The Computer Guys is the only choice for the service you expect.